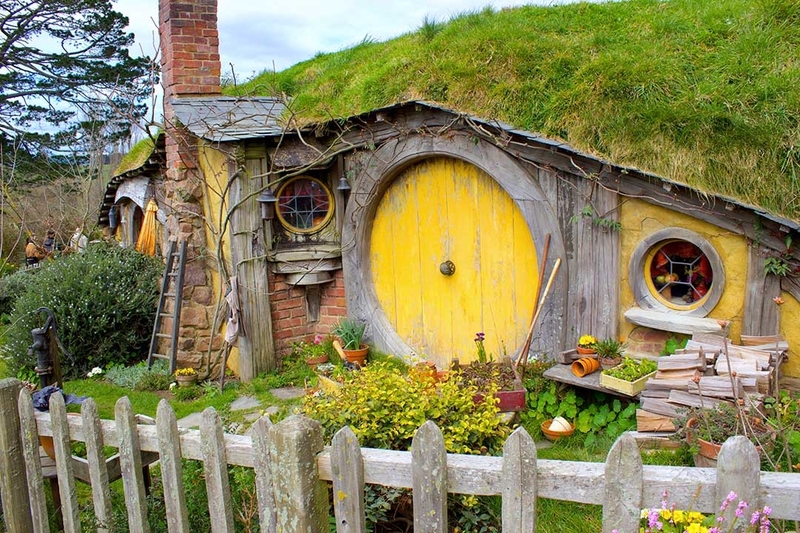 Okay, don’t hate me… My travel buddies wanted to go to Hobbiton, and I chose not to follow. 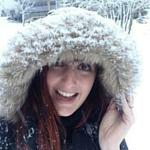 Most of you probably think I’m crazy! 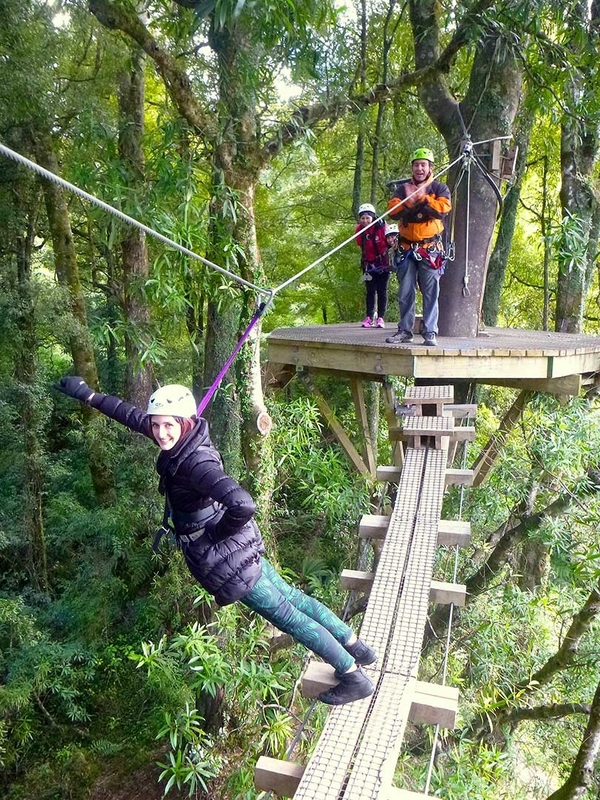 But yes, I would prefer to stand on a 22 metre high platform among the tree tops, then jump off and zip along a 220 metre wire surrounded by luscious forest and native birds. Weeeeeeeee! 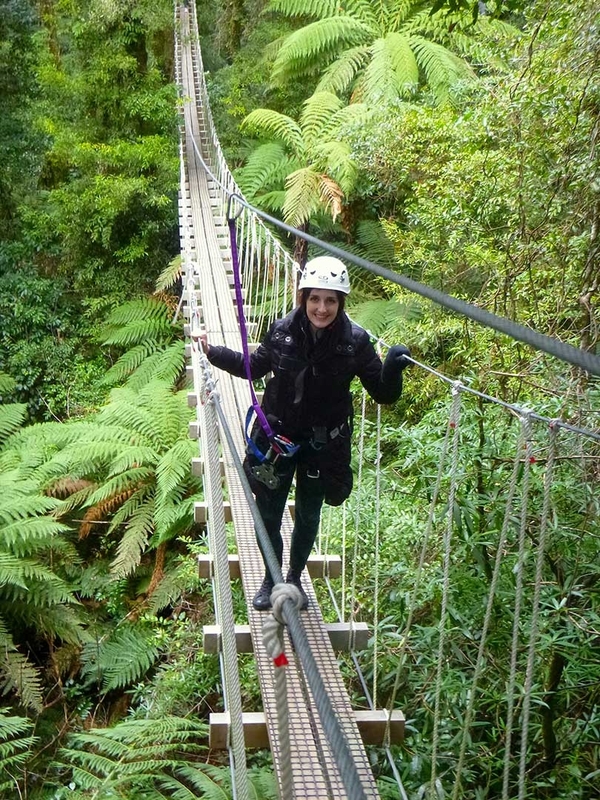 Rotorua Canopy Tours is New Zealand’s only native forest zipline canopy tour. This adventure is for just about anyone, and operates rain, hail or shine. Okay, maybe not hail, but they’ll keep you warm and dry no matter what Mother Nature’s plans are for the day. The track we followed was an awesome 1.2 kilometre network of exhilarating ziplines, wobbly swing bridges, stunning walking trails and really high treetop platforms. We even got to hand-feed wild birds! 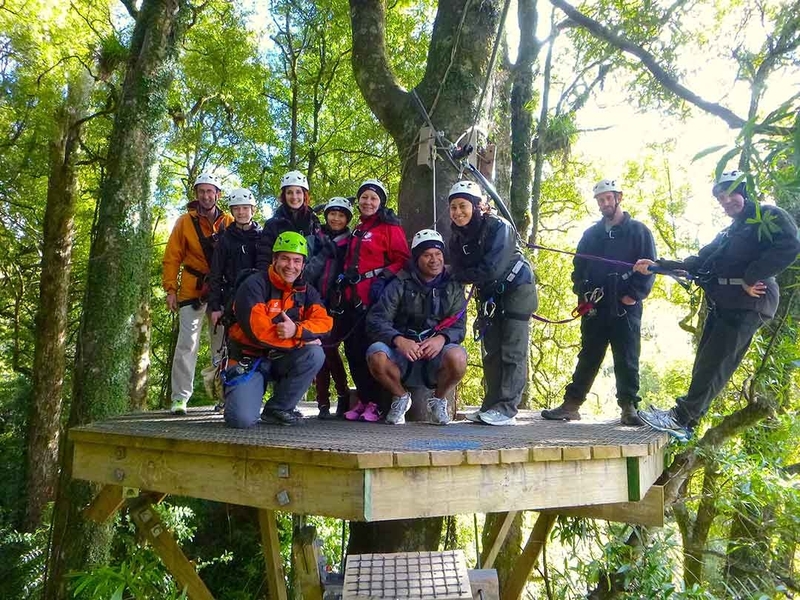 This 3-hour tour is a fun and informative activity that will not only get your adrenalin pumping, but also supports the massive conservation effort Rotorua Canopy Tours is committed to. The ziplining track is non-invasive and actually works around the natural environment, so you get to see everything in its pure, raw form, while a portion of your ticket goes towards helping regenerate the magical forest and protecting its wildlife. 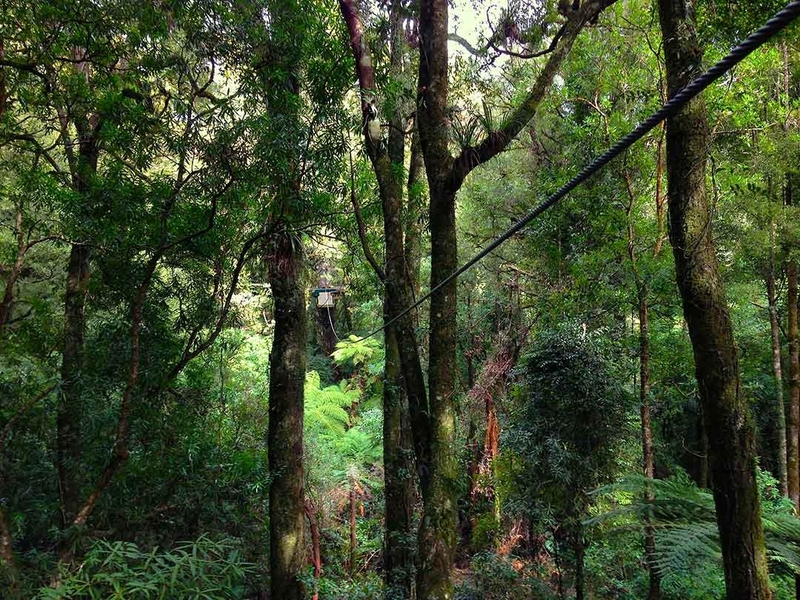 There are six awesome ziplines on this beautiful track, the fourth being a massive 220 metres where you’ll step out off the platform from a 500 year old Rimu tree! 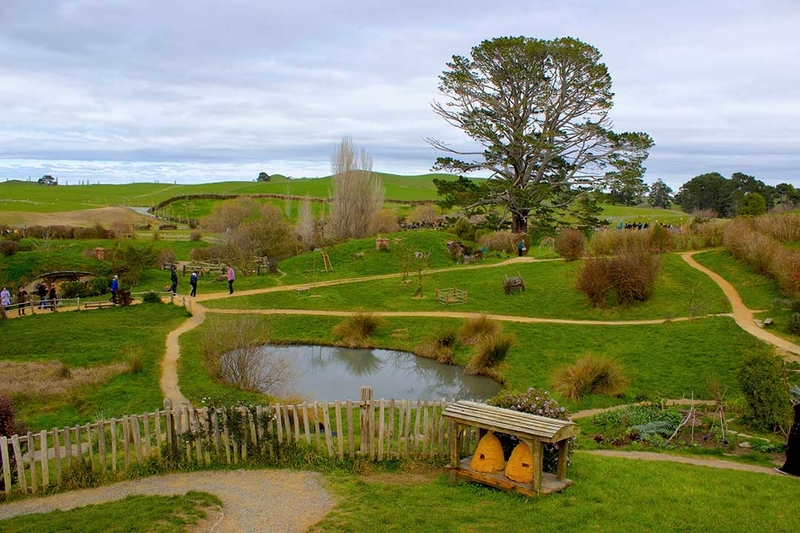 This section of the trail is known as Tui Song after the beautiful New Zealand native bird, the Tui. If you have heard of the Tui bird, you may know that they are super clever and use their two voice boxes to mimic all sorts of sounds, from beautiful unique lullabies, to human voices and even chainsaws! If you’re lucky, you might even get to spot one of these little birdies on your ziplining tour. 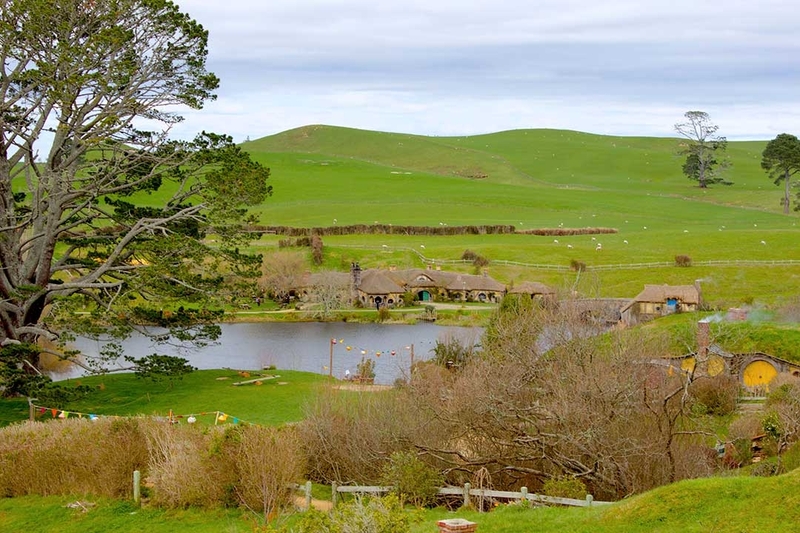 I suppose I should add in some photos from Hobbiton for the haters, haha enjoy! 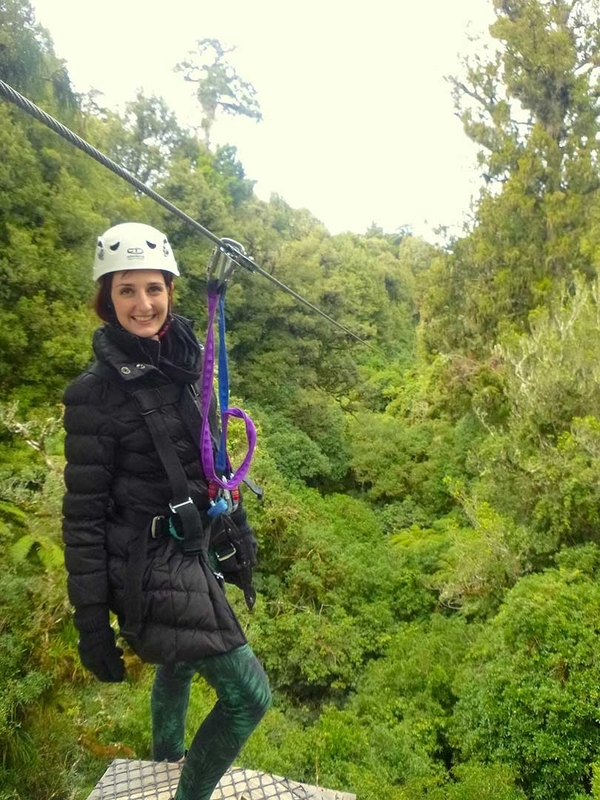 If you have any other questions about ziplining in Rotorua, let me know in the comments below, or find me on Facebook or Instagram. Have you ever been lip lining before? Do you know of any awesome ziplines around the world that I should try out? When? Any time of year – rain, hail or shine! Why? Because people age 6 to 100 can enjoy this fun adventure and fly like a bird through the trees! The eldest person so far has been 93!